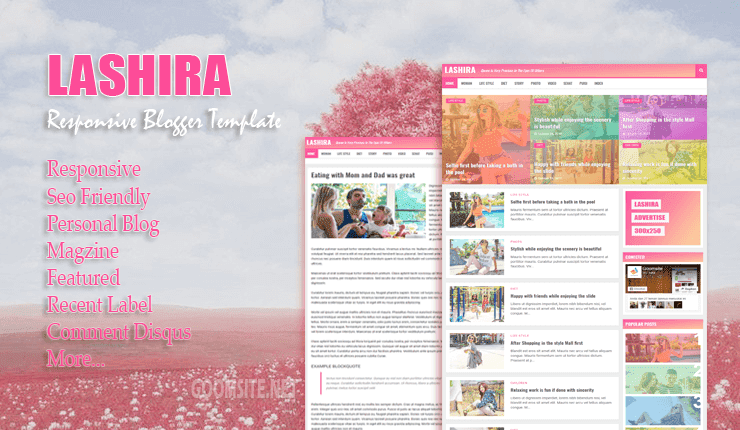 Lashira is a blogger template. It's mobile-friendly, fastest loading, blogspot / blogger template optimized for your blog. It's fully responsive up to 240px device size. This is a lightweight, responsive blogger template for personal blogs or personal blogs dedicated to women, but it is also not wrong if men also use this template. Design and takes a few seconds to load and finish everything. This template has important features needed for blog-based personal blogs. This template is also available Premium version.